Champions is a Children's Miracle Network Hospitals program that brings attention to the important work being done at its 170 children’s hospitals. It does this by honoring 51 remarkable kids who have faced severe medical challenges, and helping them tell their stories. The Champions program designates a child in every state who has bravely battled a serious injury or illness. The Champions represent the nearly 17 million children treated at Children’s Miracle Network Hospitals every year. The 2011 Champions have dealt with a wide variety of injuries and illnesses including genetic diseases, organ transplants and traumas, as well as various types of cancer. The Champions travel for a week in October, first to Washington, D.C., where they traditionally meet with their state senators on Capitol Hill, and the President of the United States during a visit to the White House. They then take a private chartered flight, provided by Delta Air Lines, to Orlando, Fla. There, champions meet Children’s Miracle Network Hospitals sponsors, hospital representatives and media partners who all convene to celebrate a year of medical miracles during the Children’s Miracle Network Hospitals Celebration event at Walt Disney World Resort. 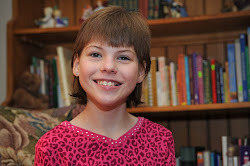 Emily was treated at Gillette Children's Specialty Healthcare in St. Paul, Minnesota.